This. Is. So. Important. Skipping even a few hours of sleep every night in favour of sending those last few emails is not healthy, and is the reason so many of us feel fatigued and unable to fire on all cylinders during the day. Turn off your phone and stick to a predetermined bedtime that’s going to give you the full 8 hours you need to succeed. Dedicate your after-dark hours to more slumber and you’ll start to feel the benefits. According to Social Media Today, the average human now spends nearly 2 hours on social media every day, which adds up to a frightening 5 years and 4 months spent scrolling through Facebook in your lifetime. 5 years! And let’s not even get started on how much time you spend just looking at a screen throughout your life. If you want to tip the scales in favour of life over work again, turn on your 'out of office' response and switch off your phone for at least 2 hours a day to counteract the time you spend working. Creating a schedule for work is something most of us do to ensure that we have ticked off everything that needs to happen for our jobs. But, imagine if we spent the same amount of time, and gave the same energy to planning out life? While you’re marking off important meetings in your calendar, try also scheduling time to go sit in the park and read your book, or catch up with an old friend, or just watch that new Netflix show you’ve been dying to see. Me-time is just as important as work tasks, so put it into your diary like it matters. If you’re naturally wired as an obsessive worker, and you love to have your laptop in front of you wherever you go, then it can be difficult to see tasks sitting unticked on your to-do list. While feeling like you have achieved everything is great, it’s equally important to feel OK with it if you don’t finish something right away. Not everything on your list needs to be completed by 10am. Be realistic with your goals, and don’t let yourself feel frustrated whenever things don’t go your way immediately. 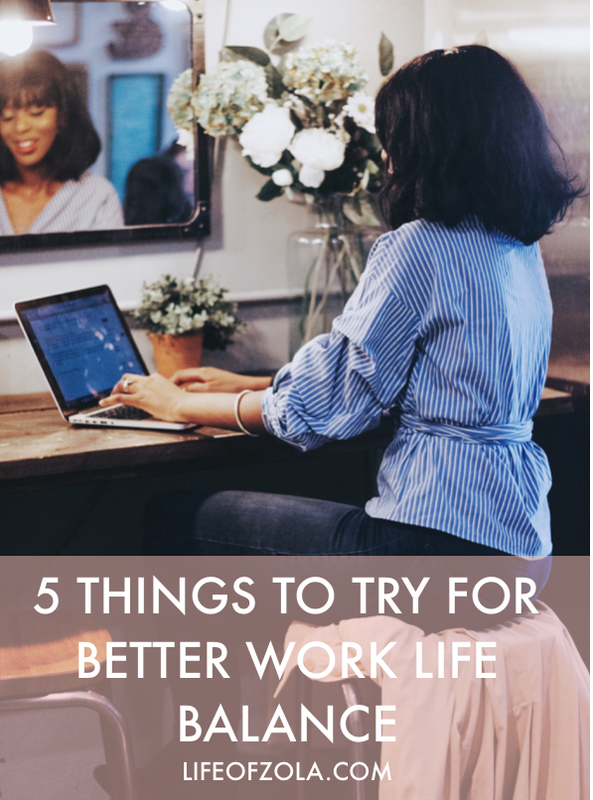 If you want better work life balance, then check out Desk Life Project for all the tips, resources and inspiration you need to plan a week that’s productive, creative, and perfectly balanced.